HARLINGEN — The nation’s largest fragrance retailer and a shopping mall mainstay has filed for bankruptcy and will close one of its locations in the Rio Grande Valley. 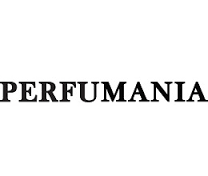 Perfumania, which has 226 stores in the United States and Puerto Rico, announced it would close 65 of those stores in its Chapter 11 bankruptcy filing but did not list the stores. It appears, however, that one of them is the Perfumania at Trenton Crossing Shopping Center in McAllen. Perfumania also operates stores at the Rio Grande Valley Premium Outlets mall in Mercedes and at Sunrise Mall in Brownsville. A press release from Gordon Brothers and joint partner Hilco Global last week announced Hilco would be handling store closing sales at Perfumania locations. The list of the stores participating in the closing sales totals 65, and the McAllen location is on it. A staffer at the McAllen store confirmed the store’s closing Tuesday, saying Sept. 29 would be their last day. She said it was unclear whether store employees would be offered jobs at other Perfumania locations.